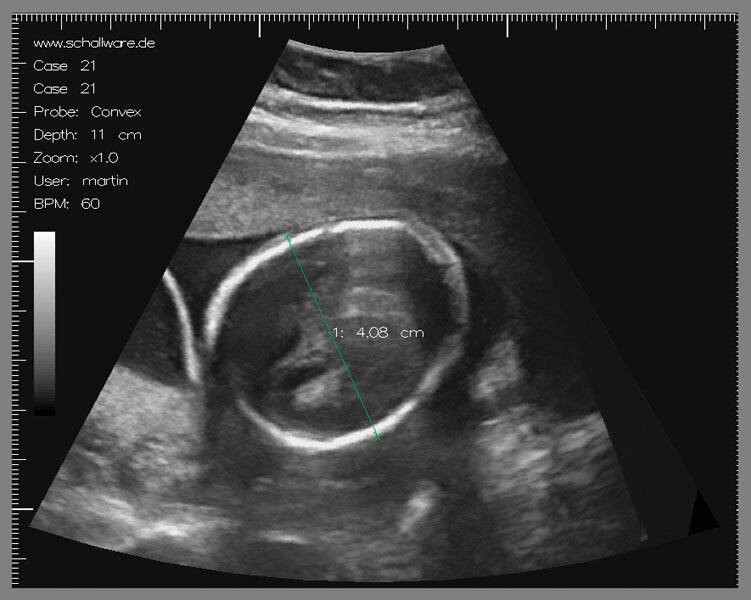 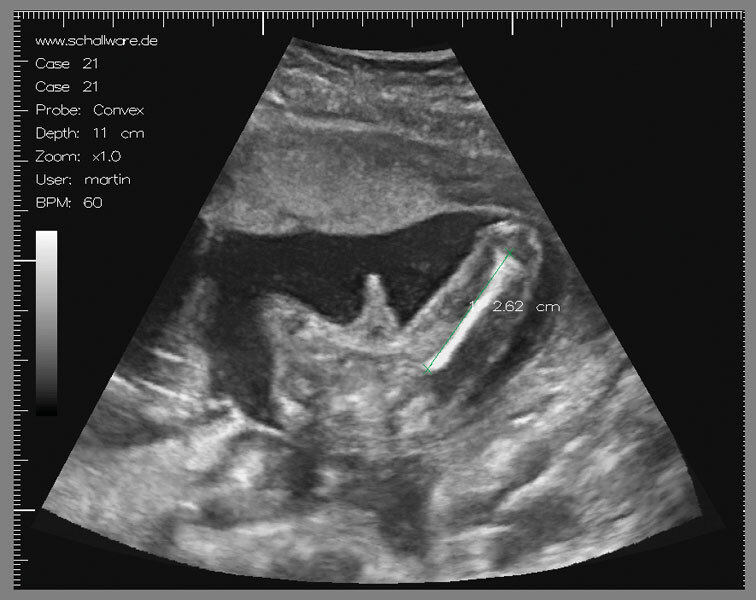 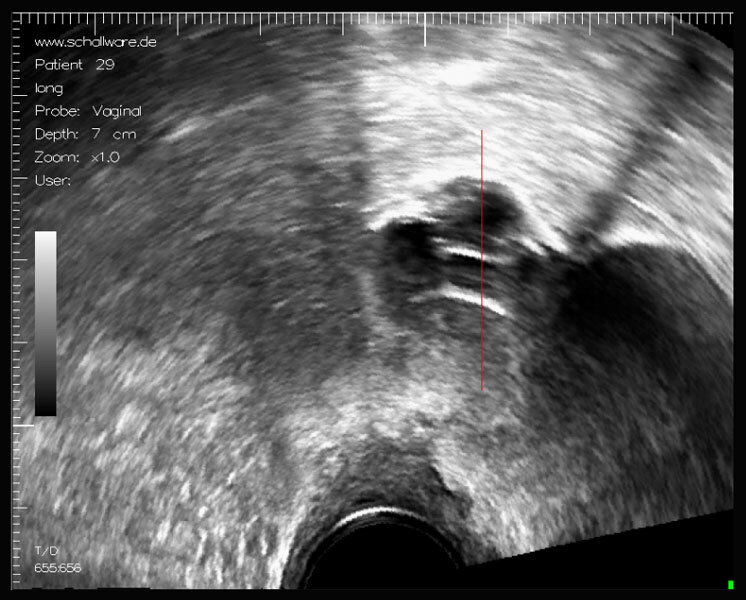 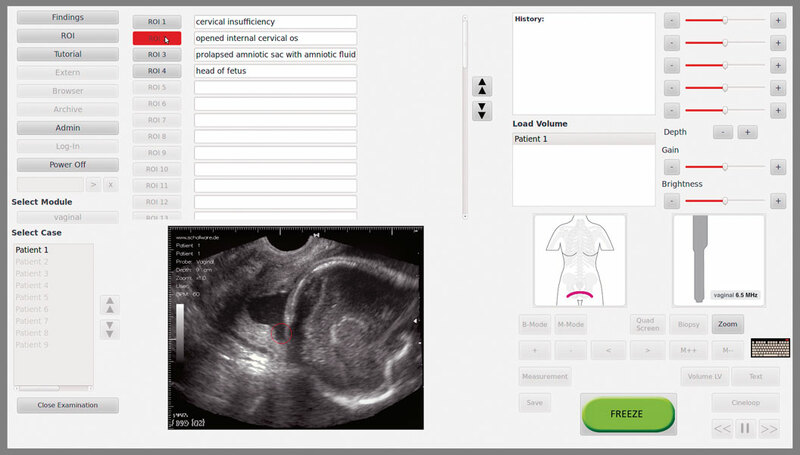 With the pregnant female dummy normal, pathologic vaginal and abdominal cases are available. 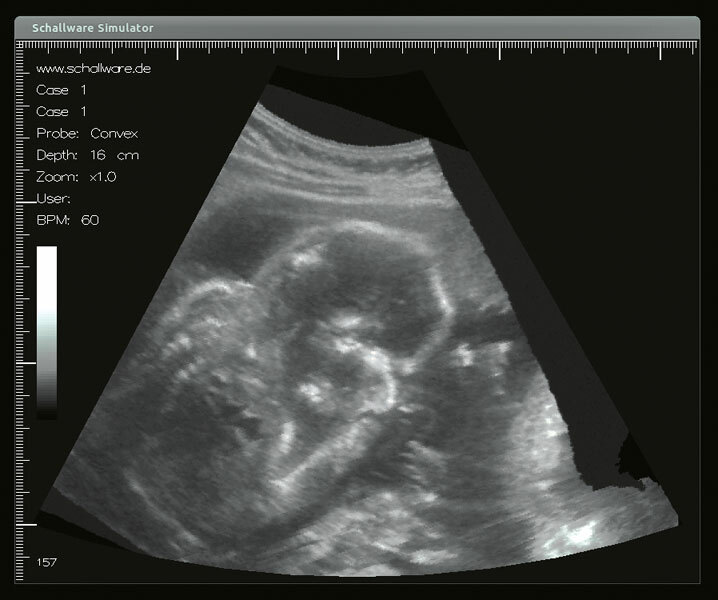 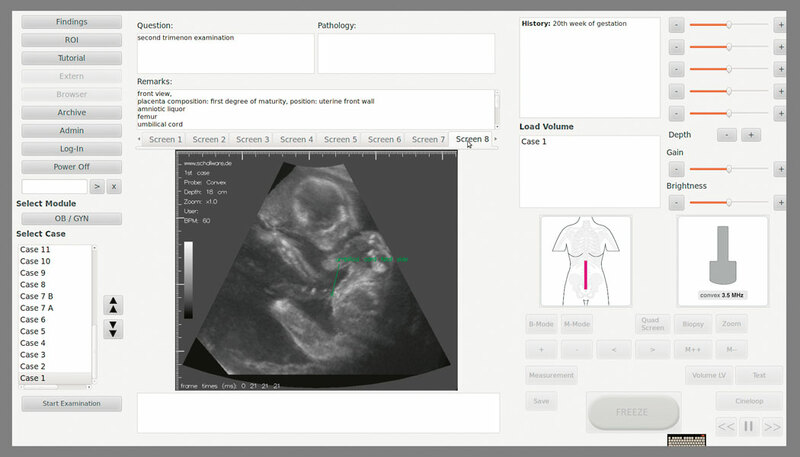 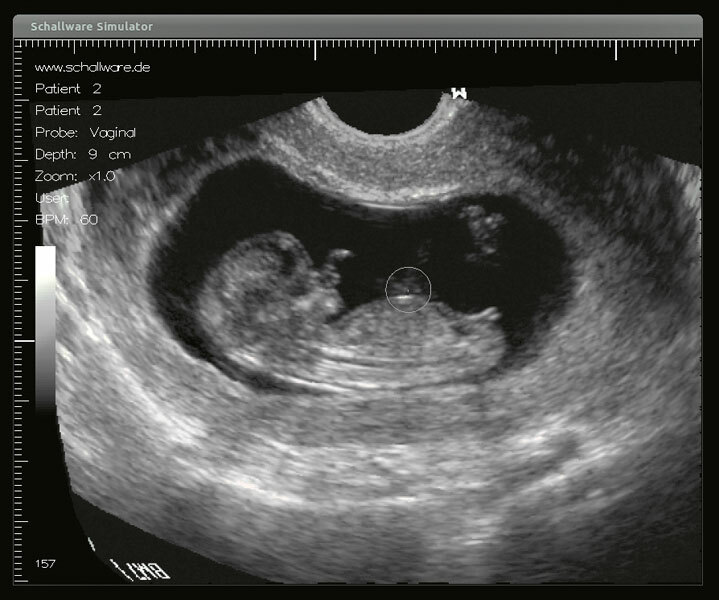 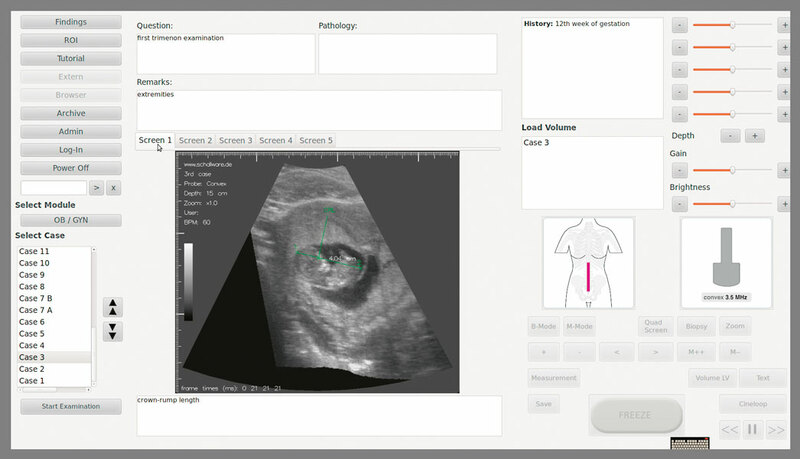 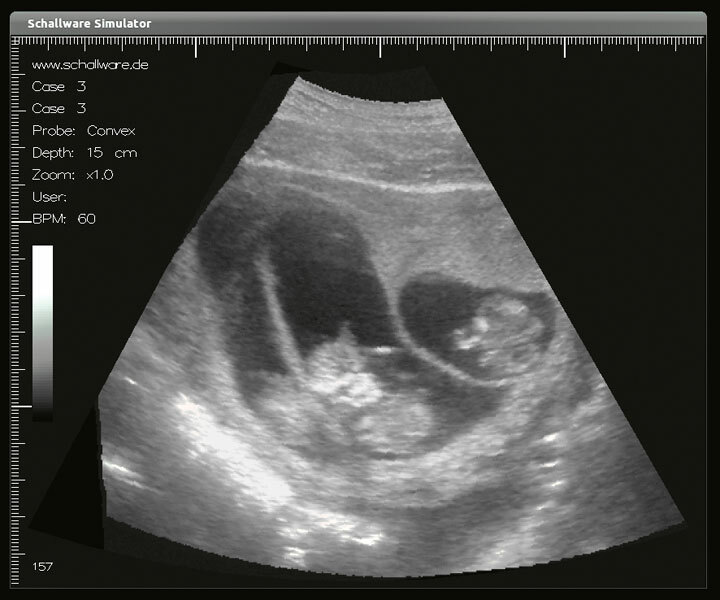 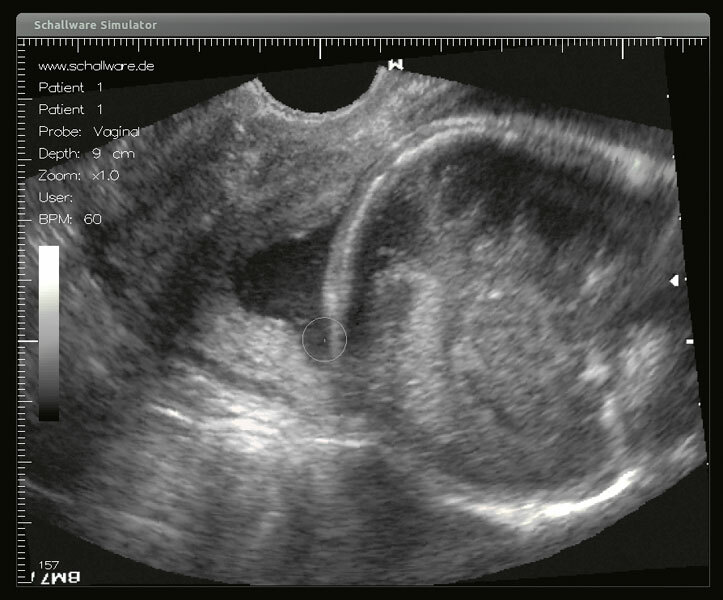 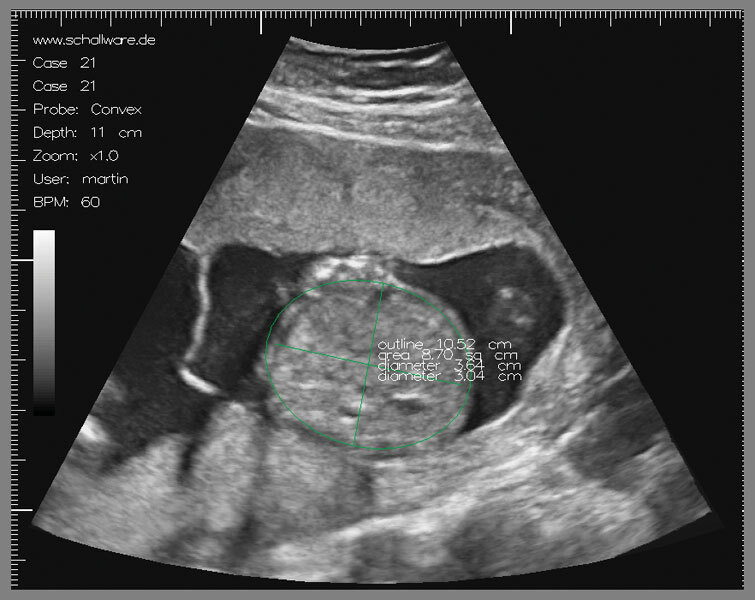 The obstetrics module allows foetometry of trimenon I, II and III including weight estimation. 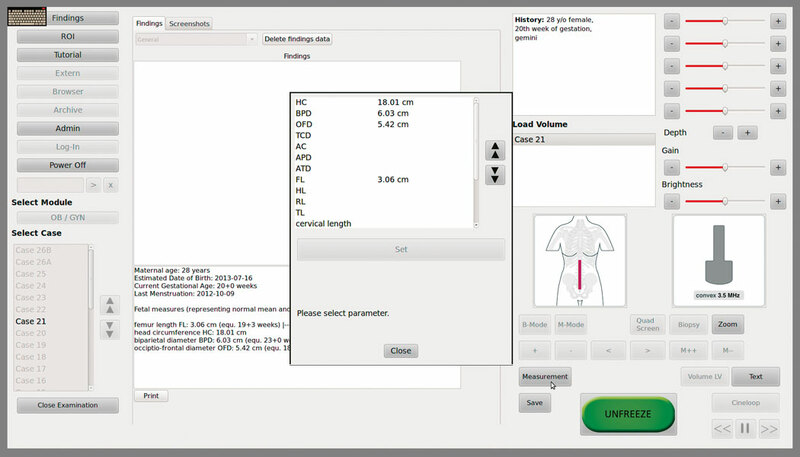 Different examination types such as ‘abdominal’ or ‘vaginal’ enable measurement of correct parameters. 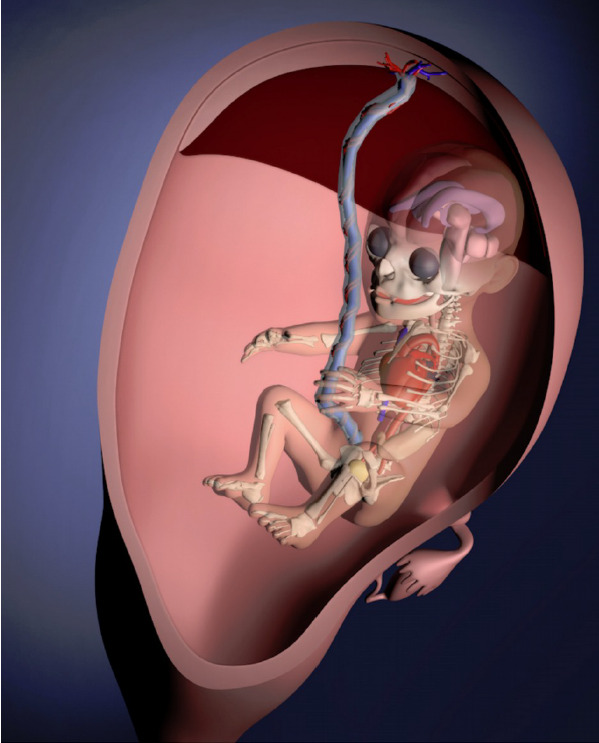 Foetal heart cases show several congenital heart defects in motion (4D). 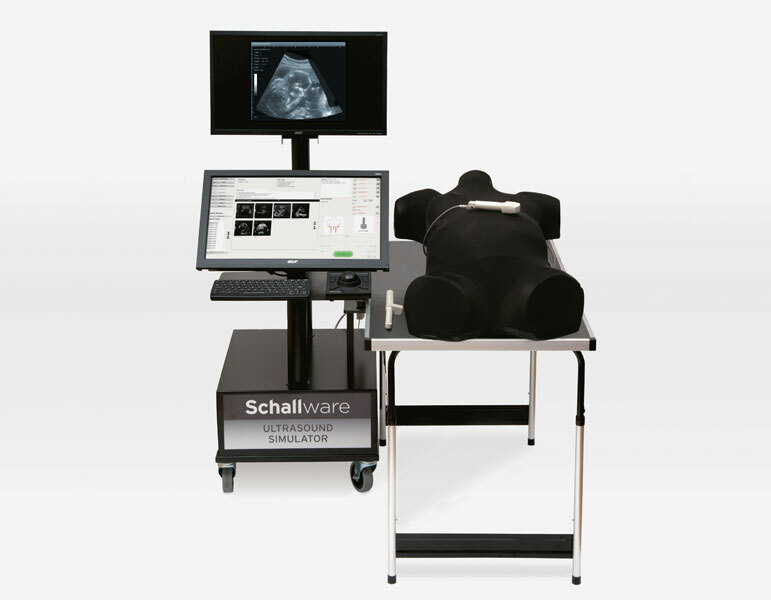 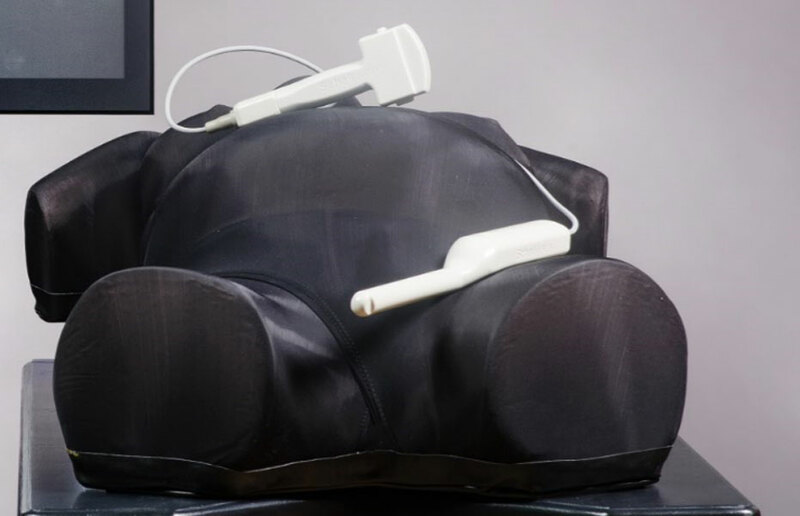 In addition to abdominal convex probe the Schallware simulator provides also transvaginal probe. 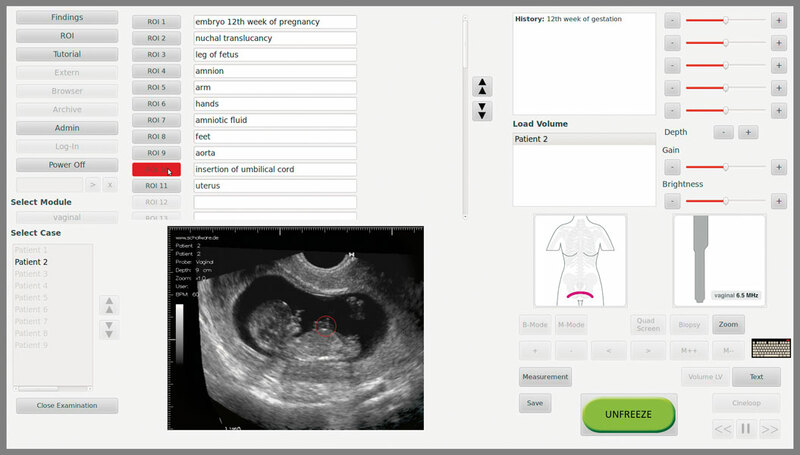 Besides virtual female model there are transvaginal cases available for obstetrics (trimenon I) and gynecology training.